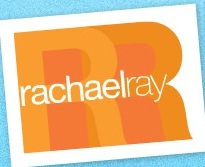 Starting in July, Rachael's daytime show tapes on Tuesdays through Thursdays in New York City. To get free tickets to a taping, all you have to do is fill out the form below, letting us know who'd like to come and your preferred dates. Or, call 917.332.3200 to leave your name, phone number, and desired dates. Please only submit one request via the form below or phone. It may take a little while for our audience department to contact you, but we will certainly be in touch and do our best to accommodate your request. Are you the queen of "At the last minute?" Do you get the most for your money? Convinced you can't throw a great party? Trying to make up your mind about a decision? Do your customers drive you crazy? Admit it...your fridge is a mess! Hey you...what's on your mind? Can't find the guts to try something new? Got a household tip or trick for 2006? Did you make the mess of the week? Do you have a pet Rachael just has to meet? Did you make a great travel discovery? Got an unbelievable "How we met" story? Dogs + tricks = fun! What's the worst gift you ever got? Are you a senior with NO IDEA how to start dating? Is your child the world's pickiest eater? Dying to get out of your hometown and come to NY? Good luck! Since I live in CA the odds of me making it there are slim to none, but I can promise you that my husband will be annoyed when I hog the TiVo taping it! Hi, Rach my husband makes the best secret sauce for spaghetti in the entire world. It's asked for from St. Ohioto St. Louis. You must savor the flavor. You should have him on your show.